We were watching the Backyardigans "Save the Day" where three rescuers save Fisher lady Tasha from dangers. 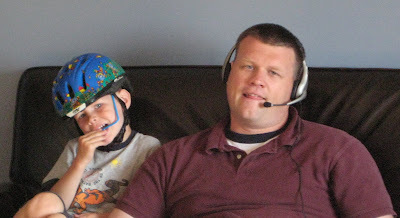 The rescuers have ball caps and headsets to communicate. 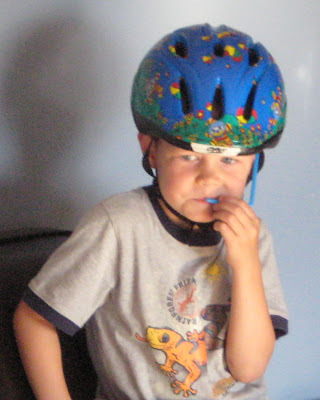 BigE always pulls out the bike helmet and drinking straw to create his own rescue gear. Dada also got sucked into this as Rescue Base. "This is rescue base, do you copy rescue four?" Posted by PB at 9:02 p.m.
July 29, 2008 at 9:22 a.m.